Ceftazidime is a third-generation cephalosporin antibiotic. Like other third-generation cephalosporins, it has broad spectrum activity against Gram-positive and Gram-negative bacteria. Ceftazidime inhibits mucopeptide synthesis in bacterial cell wall. In addition to the syn-configuration of the imino side chain, compared to other third-generation cephalosporins, the more complex moiety (containing two methyl and a carboxylic acid group) confers extra stability to β-lactamase enzymes produced by many Gram-negative bacteria. Also the charged pyridinium moiety increases water-solubility of ceftazidime. Ceftazidime’s extra stability to β-lactamases increases its activity against otherwise resistant Gram-negative organisms including “Pseudomonas aeruginosa”. 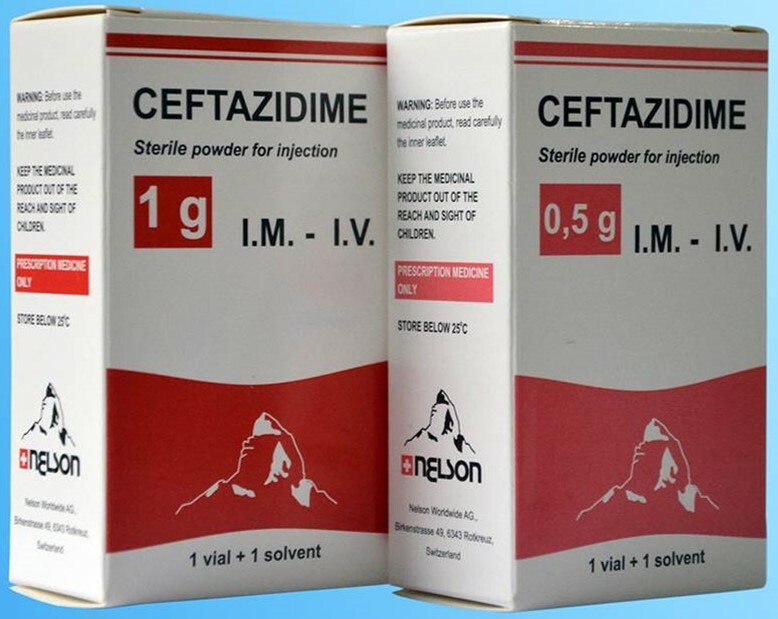 Ceftazidime is used for: – treatment of infections of lower respiratory tract, skin and skin structures, urinary tract, bone and joint; treatment of gynecological infections; treatment of intra-abdominal infections; treatment of septicemia and CNS infections including meningitis caused by susceptible strains of specific microorganisms; concomitant antibiotic therapy.